Ready to work? So is this sturdy GMC Sierra! Pop the hood to see the 5.3L 8 cylinder engine and six-speed automatic transmission powering your ride and check the interior for even more great features. 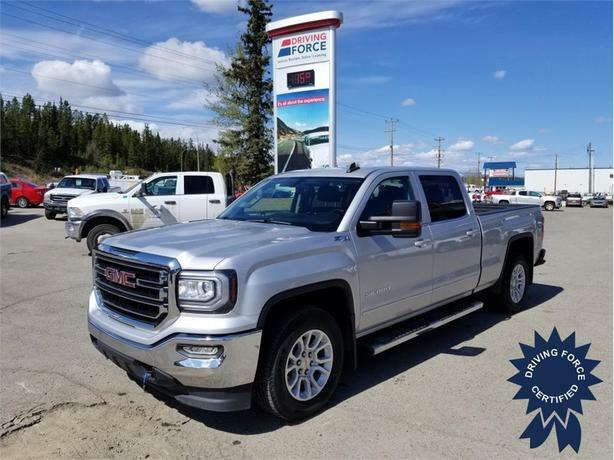 Youll love the keyless entry and remote engine start, running boards, fog lamps, heated front seats, HID headlights, tow hitch and hooks, Bluetooth connectivity, WiFi hotspot, back-up camera and more.